My first time to the site. Fantastic pictures. 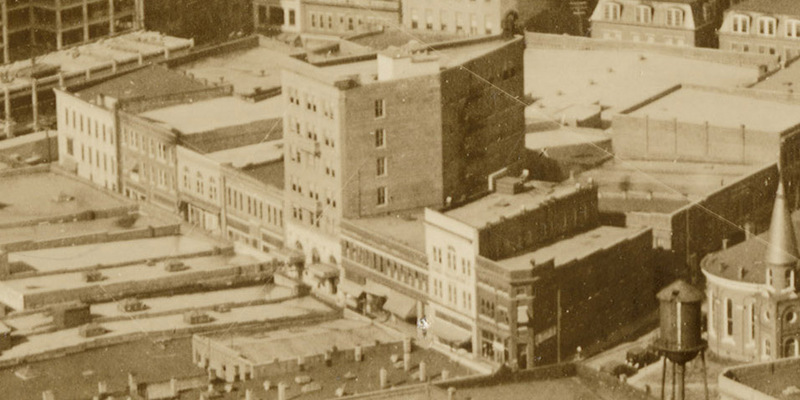 What is the large, hotel-like structure in the far part of the picture that would be located on Corcoran and Parrish, in the now-vacant park across from the SunTrust/CCB Building? Wouldn't these pictures, looking towards Corcoran St., make it "northwest", not "northeast"? Thanks for catching the directional error - I've fixed it. Glad you enjoyed the site, and I hope you continue to find it useful. 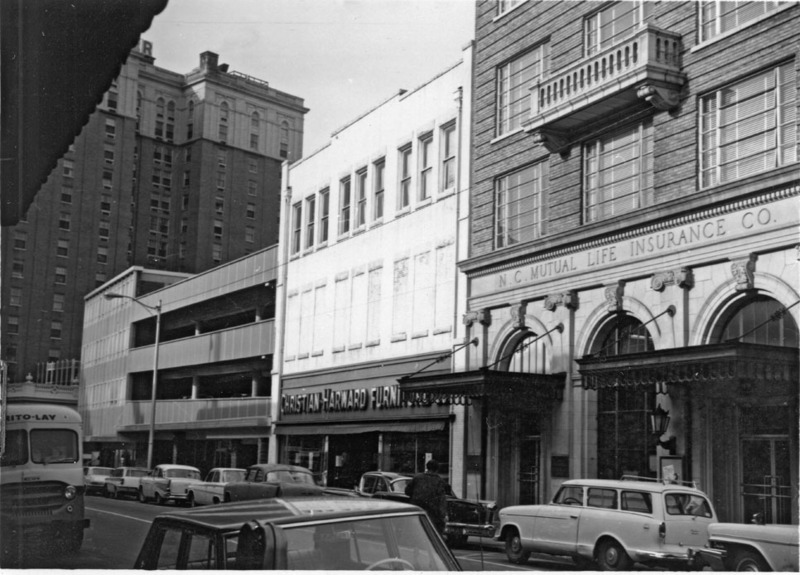 Christian-Harward Furniture was organized in 1899 by L S Christian and Sheriiff John F Harward. 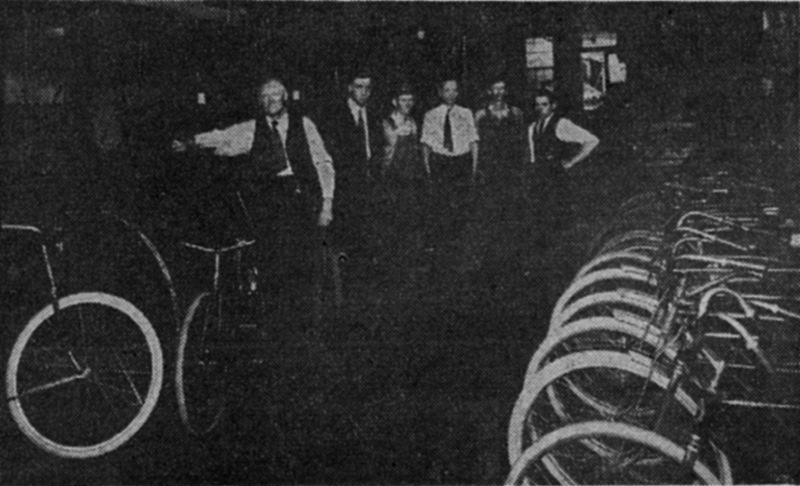 The first store was on Corcoran St., where Coleman's Drug Store and Martha Washington shop was around 1939. The store later moved to Main St., then to Chapel Hill St. In 1931, it moved to 118-120 Parrish St. My grandfather, H W Kimbrell became President and part owner shortly after 1931. I am in the process of looking for any pictures that we may have during that era. I just bought such a lovely desk that has the Christian-Harward label on it! So great to know about this and to have a piece from such a local landmark! 118 West Parrish St. is the oldest building remaining on the north side of the 100 block of Parrish St. It was built sometime before 1905 as a 2-story structure. Looking east-northeast, 1905. Parrish St. is to the left, and 118 West Parrish is the rightmost structure in the row, with 3 sets of 3 windows. To its right is a large frame warehouse, which was the Mangum warehouse. 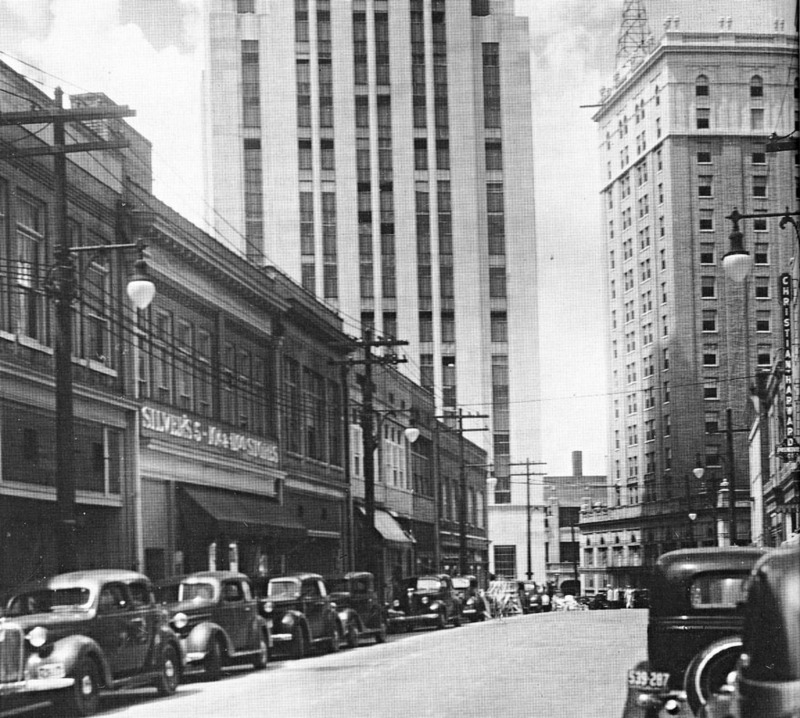 During the early 20th century, the remainder of the block was developed with commercial structures, such that 118 W. Parrish was mid-block. Looking northwest, 1924. 118 West Parrish is just to the left of the significantly taller NC Mutual building. A third story was added to the building sometime after 1924. I'm not sure when this became the Christian-Harward Furniture company, but it certainly was by mid-century. Looking west down Parrish St., the Christian-Harward sign is visible on the right. Above, the view looking northwest, 1963. By the late 1960s, the front facade of this building was covered with a false front, which stayed on until several years ago. My first time to the site.